Utah has the “greatest snow on earth” which makes for beautiful winters and great ski and snowboarding conditions. However, our greatest snow on earth can also make for horrible driving conditions and cause accidents involving snow and ice. Every winter, Utah residents find themselves in dangerous conditions driving through snow, ice, wind, hail, rain, and other bad weather conditions. This winter has been no exception as we have seen some heavy snow storms cause traffic nightmares and accidents all over the state. An accident involving bad weather doesn’t mean a driver wasn’t acting negligently. Slower is better, especially when taking corners. Anticipate sliding and lack of traction. Give more space to the car in front of you (double what you would normally do). Avoid slamming on your brakes if you fill yourself sliding. Of course the best defense to bad winter conditions is to simply avoid driving as much as possible. Since, most of us have to drive at least sometimes during bad weather, they best thing to do is to be cautious and follow the above suggestions. Defensive driving is especially important in the winter since negligent drivers are less likely to be able to correct their driving errors before it is too late. Involved in a Winter Accident? – We can help. Drivers are required to maintain control of their vehicles even in severe winter conditions, even in accidents involving snow and ice. If a driver does not act reasonably and loses control of his vehicle, that driver may be responsible for the damages he causes to other motorists on the road. If you or someone you love has been the victim of a careless winter driver, you may be entitled to compensation for your injuries. 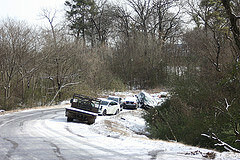 At Salcido Law Firm PLLC, we understand the issues involved with winter accidents. We can help you get the compensation you deserve. 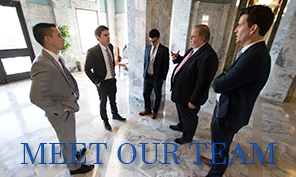 Our Utah auto accident attorneys are trained to aggressively represent you and act as your advocate against the insurance companies. Talk to a Utah personal injury attorney at our office today and Get Protected! Call anytime at 801.413.1753 or toll free at 888.337.3235. You may also email, Skype, or contact us through the form on the right.